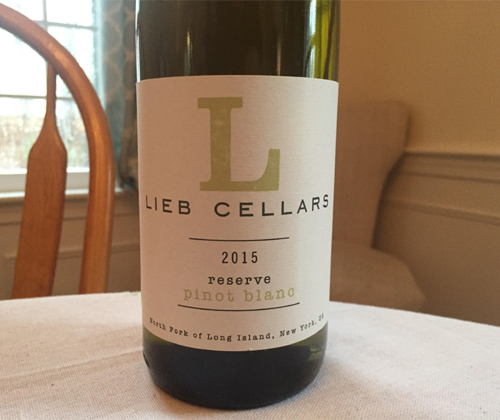 Lieb Cellars' Pinot Blanc comes from vines planted in 1982 (ten years before the winery was founded) and they're also the oldest vines on the North Fork. Not only that, but Lieb has the most plantings of Pinot Blanc in the entire United States. When the vines were planted they were believed to be Chardonnay but, when informed by its future winemaker (Russell Hearn) that it was Pinot Blanc instead, the land went up for sale literally the next day. The buyer was Marc Lieb. 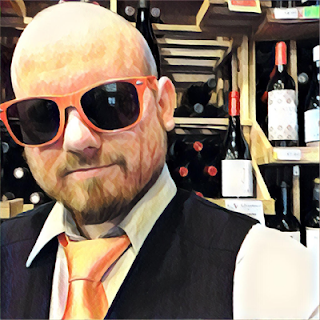 He made that Pinot Blanc his flagship and built a success around it. I don't know how he did it, honestly. Every time I try to sell somebody a Pinot Blanc I get a sour look and have to explain that it's not Pinot Grigio. When I had the 2014 Reserve Pinot Blanc back in 2015, I gave it a 4/5 in price vs. quality for Recommended at $22. I also found that it was very much a food wine that needed to be accompanied with victuals. Let's see if the 2015 is the same way. Tonight I'll be pairing it with COPS on the television. I love this show. When there's nothing else interesting on, you know you can rely on COPS because it's always on somewhere. Right now I'm watching the classic "I didn't steal the car, I borrowed it from a friend" accompanied with "those drugs aren't mine, they were already there" scenario. So good! So the 2015 Reserve Pinot Blanc is fermented in stainless steel, has an ABV of 11.9%, and 0% residual sugar. The color is a light yellow (in my review of the 2014 vintage two years ago I said it reminded me of the yellow on the Pittsburgh Penguins jerseys of that time, which have since changed). I still think that this is a wine that is best served with food. Sure, it's good on its own but it drastically improves into being phenomenal when it has some consumable substance as company.